From Friday 22 February 2019 until Friday 27 December 2019: Enjoy 25 % off! 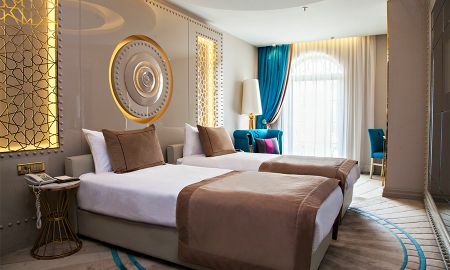 In the heart of Istanbul, the Sura Design Hotel & Suites offers a dreamy stay surrounded by the beauty of an historical peninsula. 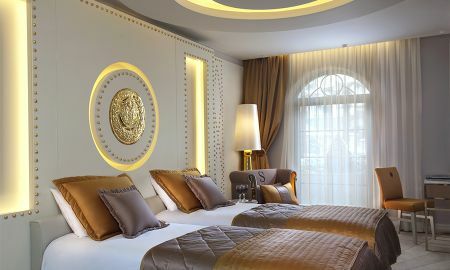 The first step in to the gracefully designed lobby signals the uniqueness of this boutique palace. The four floors of the hotel vary with four spectrums each with an individual concept. From the floor to the ceiling, every inch of every room has been considered with comfort in mind. 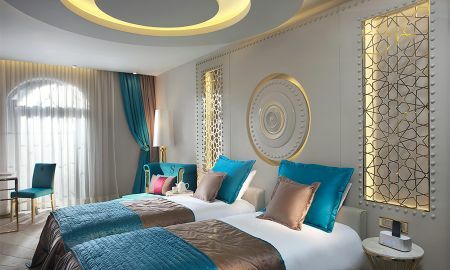 The fine detail, from lighting to wall accessories, combine to create a charming atmosphere for a perfect night’s rest in a luxurious setting. With modern amenities at arm’s reach, the interior décor dazzles the eyes and the views mesmerise. 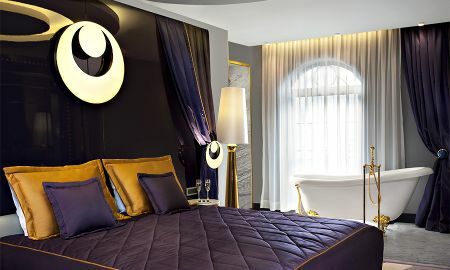 In selected rooms, soak in the bubbles and take a dreamy journey lying in the chic bath tub in the bedroom. A nourishing breakfast buffet is served each morning to activate the body and mind. For lunch or dinner, the Sura Restaurant presents delicious Turkish cuisine, in which a variety of dishes are prepared with organic vegetables and meat provided from the hotel's own farm. Accompanied by live music on selected days, take a seat near the fireplace of the lounge, or enjoy the climate in the garden whilst sipping a tea or coffee, at the Sura Café. Workout in the fully-equipped Fitness Centre, then later, pamper and rejuvenate the body at the Spa & Wellness Centre. From the many treatments available, including massage facilities, a tailored experience is provided to revitalise the soul. 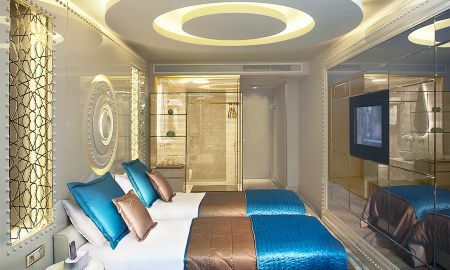 The Sura Design Hotel & Suites lies in a central location in which the Sultanahmet Square is local, whilst the Blue Mosque and Topkapi Palace are within walking distance. Sultanahmet Tram Stop is nearby with easy access to other sites in the city. Ataturk Airport is 17 km away and Sabiha Gokcen Airport is 47 km from the hotel. Explore the maze of the famous Grand Bazaar and Spice Bazaar, only 1 km away.